A fresh new spin on the ever-popular spiral. The Crystal Spinner will add sparkles of color to your house, patio, or garden. 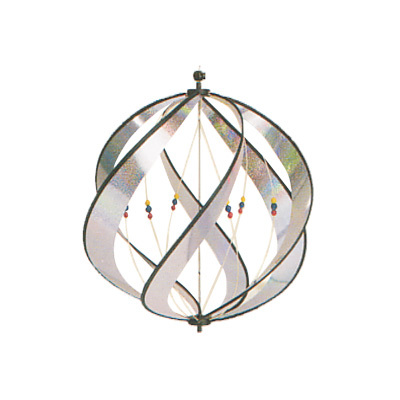 Hang it indoors or out, it twirls and spins in the lightest breeze. Great for party favors and gifts. Approximately 15 inch diameter. For questions, please call us at (503) 801-0511 or e-mail: catchthewindkites@yahoo.com. Copyright © 2000-2006 Catch The Wind, All rights reserved.